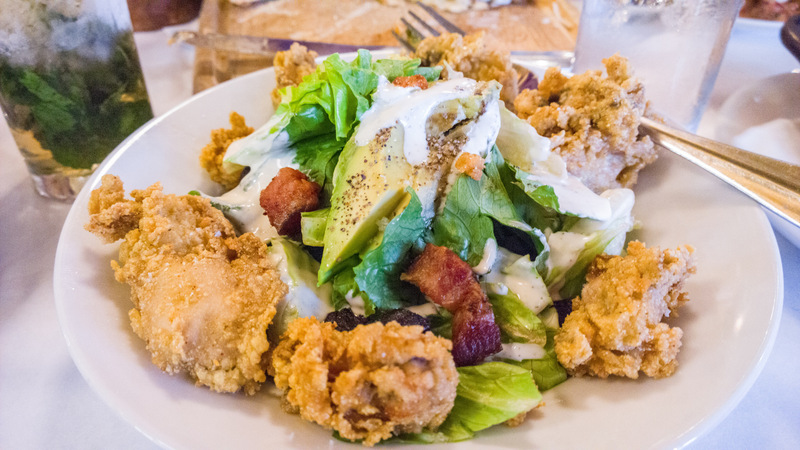 Think all oyster salads comprise a bit of lettuce topped with golden fried oysters? Nope! Get ready for smoked oyster salads, pickled oyster salads, roasted oyster salads, even mouthwatering oyster ceviches. Hearty oysters make ideal partners for refreshing salads. We’ve rounded up the best oyster salad recipes from your favorite magazines, cookbooks, chefs and food blogs. Your Oyster Recipe of the Day: Oysters Bleu. Enjoy an old fashioned iceberg lettuce, red onion and fried oyster salad topped with blue cheese crumbles.